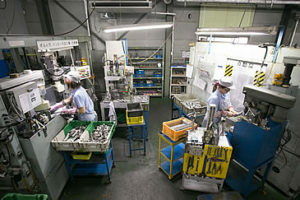 We have about 50% market share in general purpose and small engine business in Japan. We have 30 years of experience supplying our connecting rods to a major American air conditioning company. Because we specialize in connecting rods, we have developed an original measuring method which remains unaffected by the tester after repeating improvements. Our operators are responsible for the quality check. Connecting rods are assembled with a crankshaft by removing and restoring its big-end. Great concern in this stage is stability (circularity ) of the big-end. Irregular noise and/or burn-in (seizure) on inner face of hole might occur when above stability is imperfect. 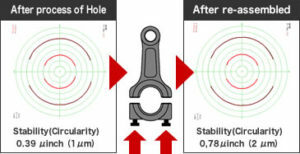 Thus, stability (circularity) is essential for every connecting rod. 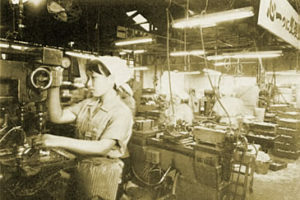 Since 1937 we’ve be making our connecting rods. Our 80 years of success and growth is the result of our customers’ faith and support. We can imagine our customer’s products beyond what the drawing shows. We have systems to produce a wide range of connecting rods; from one piece to several thousand. We have both general production and dedicated lines. We choose the line depending on the production lot, the material to be used and the shape of the connecting rod. We currently have 21 lines at our Toban plant. We produce 400K connecting rods per month including about 250 different models. 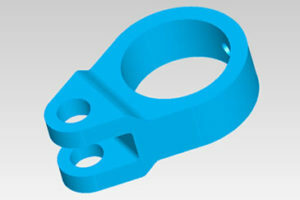 We can make the required quantity by studying the original connecting rod with or without drawings. We work with each customer from the development stage through the production of special applications like trial prototypes and auto racing applications. We recommend the appropriate material taking into consideration the desired quantity, required strength and shape, and your budget. Our R&D team is constantly perfecting our connecting rods for you, our customer. Our aluminum fracture splitting connecting rod is a revolutionary, low cost production method compared to the standard production method used by most other manufacturers. We are currently supplying our connecting rods to USA and Japanese markets. 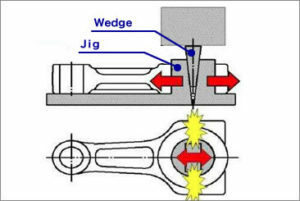 Our major customers include: Kawasaki Heavy Industries Ltd., Kubota Corporation, Fuji Heavy Industries Ltd., Honda Motor Co. Ltd., Yamaha Corporation, Tohatsu Corporation, Yanmar Co. Ltd.
We are currently supplying our connecting rods not only to Japan but also worldwide, including USA and European markets. Our major customers include: Daikin Industries, Ltd. Hasegawa Refrigeration, Ltd. Mayekawa Manufacturing Co., Ltd, Mitsubishi Heavy Industries, Ltd. Carrier, Trane, Johnson Controls.